180 years old wisteria tree. 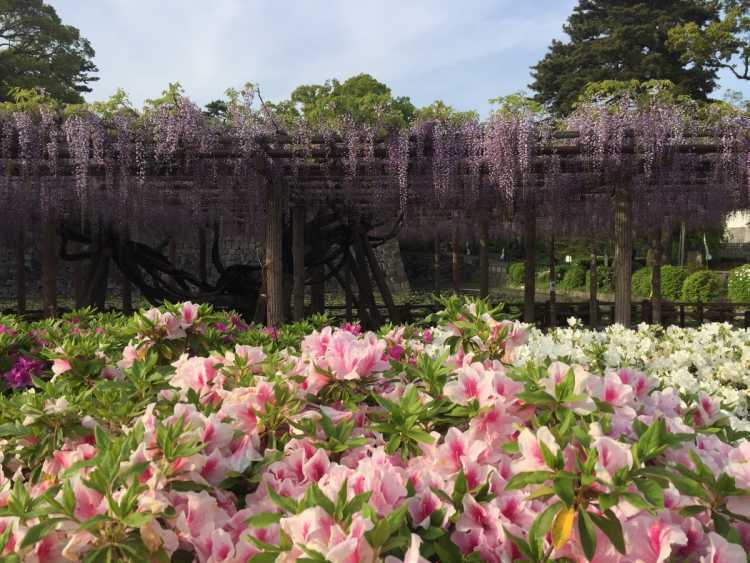 It was named 'wisteria of admiration' because the Emperor Taisho admired its beauty when he was the Crown Prince. The best season to see is from late in April to early in May.